Smart Battery® lithium batteries are the industry's predominant choice for dual purpose - starting and deep cycle lithium RV batteries. Our batteries require Zero Maintenance are Plug & Play and come with a Limited Lifetime Warranty. 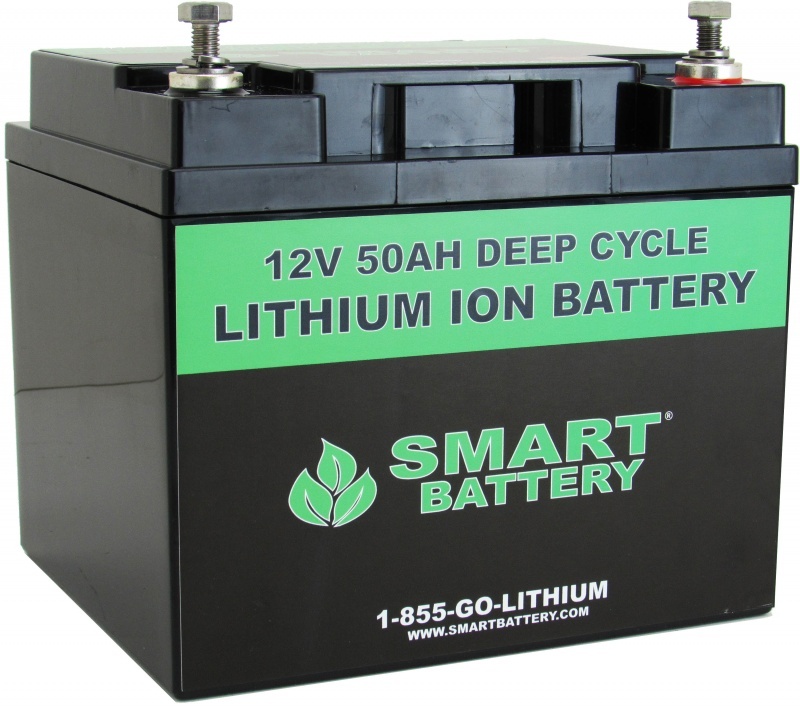 With a life of 3000 - 5000 cycles, Smart Battery RV Lithium Batteries can last 15 times longer than Lead Acid, Gel or AGM Batteries and are designed for use in all Recreational Vehicle Applications from luxury Prevost to Travel Trailers, Fifth Wheels and Class A, B or C Motorhomes. Need it fast? 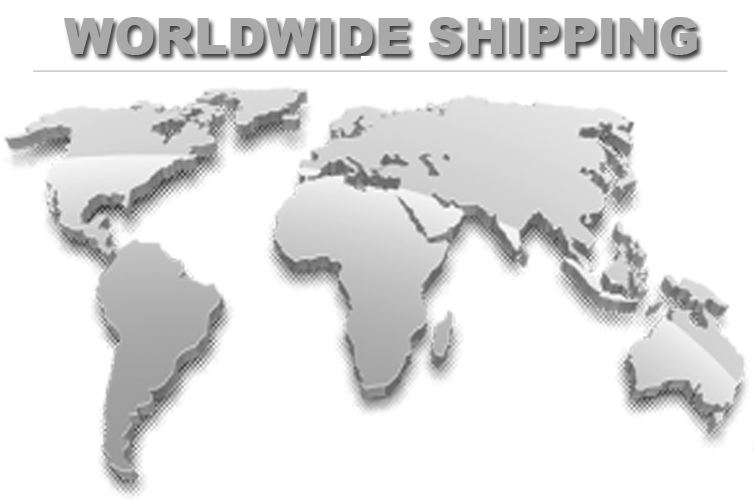 Same day shipping available, call 1-855-GO-LITHIUM for details. The SB50 - 12V 50AH Lithium RV Battery has a built in Battery Protection System making it plug and play. The SB50 is ideal for Small Travel Trailers and Fifth Wheel Coaches. The SB75 Group 24 - 12V 75AH Lithium RV Battery has a built in Battery Protection System making it plug and play and comes with a Limited Lifetime Warranty. The SB80 Group 27 -12V 80AH Lithium RV Battery has a built in battery protection system making it a Plug and Play Lithium Battery for any RV application. The SB100 Group 31 - 12V 100AH Lithium RV Battery is our most common battery used for all RV applications. It features a Built in Battery Protection System and comes with a Limited Lifetime Warranty. 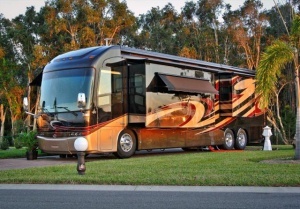 The SB200 Group 8D - 12V 200AH Lithium RV Battery can be used for any application from Travel Trailers to Luxury Prevost Coaches. It features a Built in Battery Protection System and comes with a Limited Lifetime Warranty. The SB300 Group 8D - 12V 300AH Lithium RV Battery is common in larger Class A RV's and can be used for any application from Travel Trailers to Luxury Prevost Coaches. It features a Built in Battery Protection System and comes with a Limited Lifetime Warranty. What makes lithium batteries right for you? Simply Connect the battery and your ready to go. Smart Battery Lithium Ion Batteries can be connected in series or in parallel. Every Smart Battery comes with a built in battery protection system designed to protect and maintain the battery. Our Lithium Ion Batteries require no maintenance and will hold a full charge for more than 1 year with no use. Smart Battery Lithium Ion Batteries can be recharged at any level. Smart Batteries have several layers of safety systems that makes them one of the safest batteries on the planet. 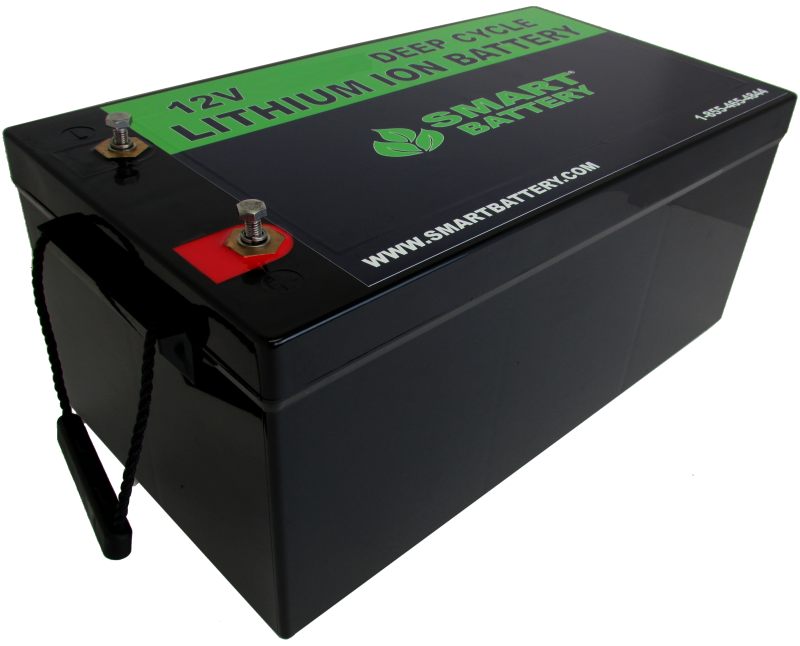 Smart Battery Lithium Batteries will work with any standard RV charger or alternator. We recommend programming your inverter / charger to 14.6V for bulk and absorb and 13.6V for the float. Smart Battery lightweight lithium ion batteries simply connect to your RV using the same connections as your lead batteries. The built in battery protection system makes them plug and play for any motor home, travel trailer or RV application. Deciding which battery to buy for your RV? 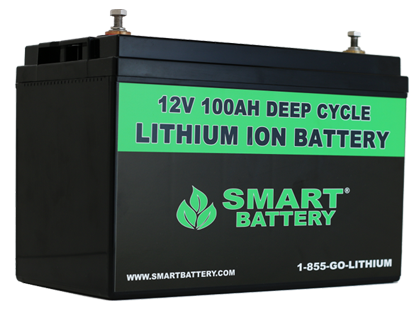 The Smart Battery 12V 100AH Deep Cycle Lithium Ion Battery is our most popular battery used in the RV industry. The SB100 will work for any RV application from travel trailers to luxury prevost coaches, for both starting and deep cycle applications. I am an artist and travel in my RV along with my wife Dawn and our dog Lucy. We are often camping off grid and run our lights and inverter off our lead batteries which would only last for a couple hours running lights and our TV. 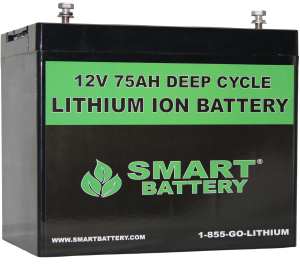 Our generator auto start turns on is very noisy so we were researching better lead acid batteries for our coach when we came across Smart Battery at an RV show in Florida. The benefits of lithium ion batteries vs lead batteries for our coach seemed like an obvious choice considering how much off grid camping we do. Our coach formerly required 4 - 6V lead acid batteries, The rep at their booth explained we only needed two of there 12V batteries to connect in parallel and that would replace all 4 of our 6V lead batteries. 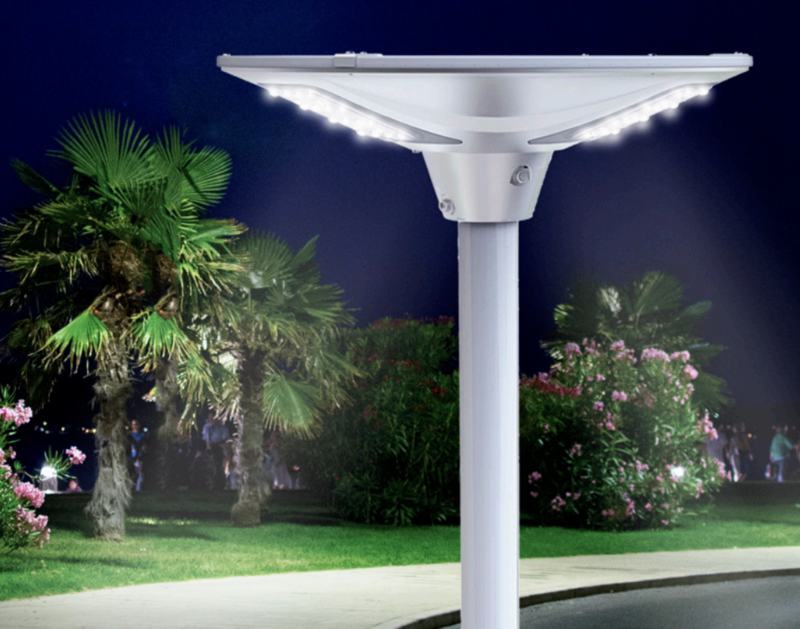 Our Solar LED Floodlights are a completely self-sufficient design making them perfect for lighting up your campsite. just mount and turn on to provide light anywhere you need it. Solar powered and waterproof (IP65 rated), you can set it up and forget it about it. Mount on a fence, pole, wall, tree, or any hard surface, these incredibly bright Solar LED Floodlights allows you to put light where you need it without having to run electrical wires to the power grid! 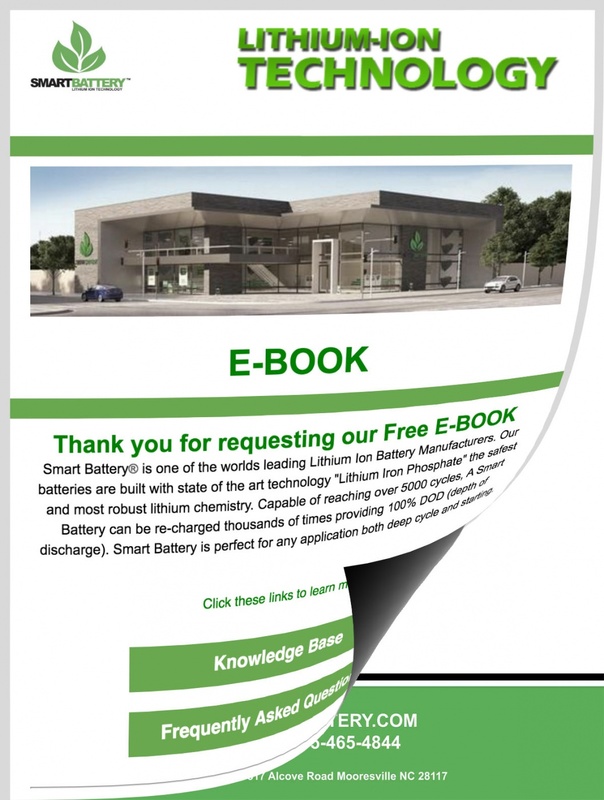 Want to get more information about Lithium RV Batteries? 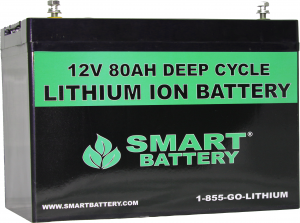 Smart Battery Lithium Batteries average about 70% lighter in the same size case as a lead acid, agm or gel battery. 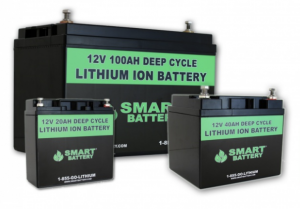 Contact Smart Battery today and speak to one of our professional sales engineers who will help you determine the best Lithium battery for your RV. We are here daily from 8:00am to 6:00pm EST to assist with any general questions or inquires your may have. Please fill out our quick inquiry form below or click Contact Us to call now or to request a call back.